The Concept2 rowing machine indoor rower model D (PM5) is one of the most popular rowing machines for club sport. The approved indoor rower model D of Concept2 is equipped with the innovative PM5 performance monitor. The PM5 monitor of Concept2 offers very modern functions and easiest use - and increases enormously the quality of your training. 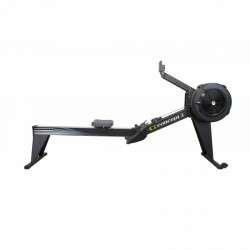 The popular rowing machine Concept2 model E is now equipped with the PM5, a much better training computer. The functions, which already made the predecessor a highlight, are now completed by a bigger memory, more games, and Bluetooth Smart as well as ANT+ compatibility. With improved PM5 computer: more memory and Bluetooth Smart! Concept2 rowing machine Indoor Rower model D (PM5) is also among the most popular indoor rowing machines of professional indoor rowing training. Being equiped with the new performance monitor PM5, the mdoel 2711 provides varied functions. Convince yourselves by this unmatched price-performance ratio! 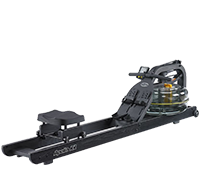 The Concept2 SkiErg (PM5), wall model with the new PM5 monitor of Concept2 is a skiing coach for improving your fitness and strength values. 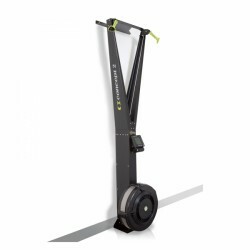 Being mounted on the wall or freestanding with the optionally available SkiErg frame, this space-saving machine offers all possibilities of an effective whole body training. I have used the concept 2 throughout my whole military career and the quality and performance is proven by the fact that nearly every professional gym and military training centre uses them. The interactive PM5 module, which allows you to connect your phone via bluetooth to access online features is fantastic. I wouldn't even consider another rowing machine! I have only had the product for 4 weeks. I received the product only 2 days after ordering. Very easy to assemble (the drawings are very illustrative). Have been on business trip for 2 weeks so I'm only familiar with Concept2 for a short period. So fare the produkt has met my expectation and have nothing to complian about. Concept2 rowing machines – A good choice for every use! 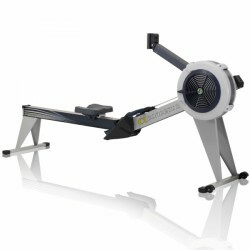 Rowers of Concept2 stand for professional rowing training and are very popular for home use and for commercial gym use. 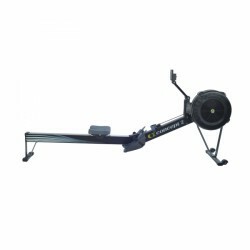 The American manufacturer aims at manufacturing extremely loadable and durable rowing machines. Combined with the smart and easy-to-use PM5 training monitor, the joint-gentle whole body training becomes a unique rowing experience. All Concept2 rowing models are equipped with an air resistance system, which makes realistic workouts possible like on water. You sit comparably high on the model E - it makes the access much easier for phyiscal limitations. The model D is considered as the most popular rowing machine in the world, is equipped with a low seat height and is available in two different colours. The training with a rowing machine is considered as one of the most effective training types of fitness, because it demands more than 75% of all muscle gruops as well as the cardiovascular system. Fat burning is stimulated as well. The training with the sturdy machines is recommended for every age and every fitness level. Professional athletes rely on Concept2. The indoor world championships are only hold with Concept2 rowing ergometer. In many types of sport and Olympia teams, the physical fitness is trained by rowing on one of the four different models. All rowing machines of Concept2 are ideal for private use as well as professional use.